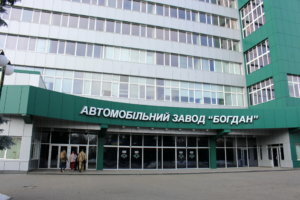 Bogdan Motors automobile company, which unites the production assets of Bogdan Corporation, in 2018, according to preliminary data, received a net profit of UAH 25.83 million, while a year earlier its loss was UAH 957.19 million. According to the agenda of a general meeting of shareholders scheduled for April 22, the uncovered loss of Bogdan Motors amounted to UAH 6.418 billion by the beginning of the current year. According to the draft decision of the meeting, it is planned to keep profit undistributed and not to pay dividends. The current liabilities of the company over the past year increased by almost 11.4%, to UAH 7.914 billion, while it had no long-term liabilities. The total debtor indebtedness last year rose by 43.7%, to UAH 825.898 million, assets as a whole increased by 31%, to UAH 2.593 billion. By January 1, 2019, the net worth of Bogdan Motors amounted to ‘minus’ UAH 5.231 billion, charter capital to UAH 1.101 billion. Bogdan Motors uniting the production assets of Bogdan Corporation in 2017, according to preliminary data, saw a net loss of UAH 635.078 million, which is 2.3 times more than in 2016. According to the agenda of a general shareholders’ meeting scheduled for April 24, the uncovered loss of Bogdan Motors by the beginning of this year amounted to UAH 5.878 billion. The current liabilities of the company for the past year increased by almost 74%, to UAH 3.116 billion, long-term liabilities by 8.4%, to UAH 4.101 billion. The number of the company’s personnel over the year grew by 12 people, to 1,043 people. PJSC Bogdan Motors unites the production assets of one of the leading Ukrainian automakers – Bogdan Corporation (a bus and trolleybus plant in Lutsk and a car factory in Cherkasy). The company in 2016 saw loss fall by almost 3 times from 2015, to UAH 275.2 million, net income decreased by 3.7%, to UAH 644.88 million. Danish BankeElectromotive and Lutsk Automobile Plant No. 1 of Bogdan Motors have signed contract for engineering (designing of the structural model) and production of trucks for collecting waste by municipalities of cities and towns all over the European Union. Bogdan Corporation said in a press release that the company seeks to produce at least 15 electric trucks for Denmark in 2018. In general, the need of BankeElectromotive is around 200 trucks a year. The first trucks will be manufactured this summer. If its tests are successful, bulk production of trucks for Western Europe will begin this year. Director of the automobile plant Dmytro Pysany said that the signing of the contract with the western European company is confirmation of high skills of specialists of the Bogdan Motors design bureau. BankeElectromotive designs and produces electric trucks for urban use and spare parts for them for the EU market. “The issue of electric transport for Bogdan Motors is not new. 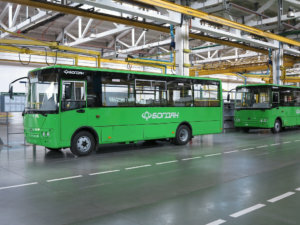 The enterprise has experience in manufacturing modern trolleybuses for Ukraine and Europe, electric buses for Poland and electric bus bodies for France,” the corporation said. The corporation reminds that it will also manufacture the bodies for electric buses of the French company Bluebus. The parties signed the contract. Under the first contract, the Ukrainian manufacturer will supply five 12-meter bus bodies to Bluebus. The customer will receive them before the end of May. Bogdan expects to extend the contract and deepen cooperation in the future.